HÜM is an ancient Sanskrit syllable whose sound, when chanted, replicates the sound of the VOID, or Pure Consciousness. It is the sound of the vibration emanating from the VOID in its most primordial form—the original sound, the lost word or name of the Divine. It is the voice of Silence, and it opens the body, mind, and spirit to the divine energy of the natural state. 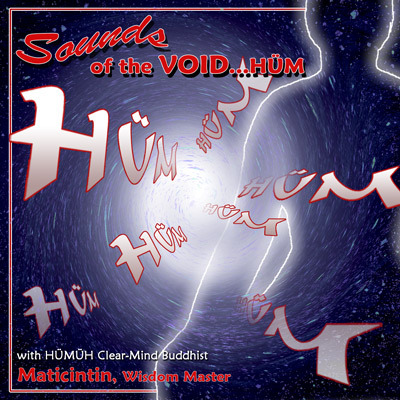 Join with Wisdom Master Maticintin as she chants the HÜM in a continuous flow of sacred sound that can be used as a prelude or background for deep meditation. Allow the sound to introduce and draw you into unification with the oneness of all existence and non-existence. Play it in your home or in your garden, in a sick room or when you need to put some space and balance back into your life. But most of all, stop what you are doing and join in. Harmonize. Sing a descant. Create a rolling HÜM and let it vibrate the very cells and atoms of your body into alignment with the Divine Heart of the universe.